Dr Kaunda says that the "creation of employment is the basis for the effective fight against poverty and HIV/AIDS". Taken at face value of course we agree with him that employment and HIV/AIDs are related in some way. But is this relationship so clear and the direction so strong that our strategy for fighting HIV/AIDs should centre around it? I am not so sure. For one thing, although there's a strong positive relationship between HIV/AIDs and unemployment it is not clear which causes which. Is it HIV / AIDs that causes people to become unemployed or is unemployment that leads people to have HIV / AIDs? The answers to these two questions will have different implications for the policy direction one takes. If unemployment leads to higher HIV/AIDs prevalence, as Dr Kaunda implicitly assumes, then clearly tackling unemployment should be the core of our anti HIV/AIDs strategy. However, if people become unemployment in general because they have AIDs, then tackling unemployment won't get us anywhere because we are not tackling the core problem which is AIDs. The honest answer of course is that we just don't know how AIDs and unemployment relate to each other. We just know they move in the same direction. Most poor countries like ours have high unemployment (but not all) and high HIV. But equally countries with lower unemployment compared to us like Botswana have even higher HIV rates!! The HIV prevalence in 2005 for Botswana and Zambia stood at 24% and 17% respectively. [Source: World Development Indicators]. Unemployment in Botswana stood at 23.5% in 2006 according to the CIA World Fact Book . Its therefore a stab in the dark to focus the whole fight of HIV/AIDs on employment creation. National Association and Small Scale Farmers of Zambia Associate President says small scale farmers are not happy with the Food Reserve Agency. His primary argument being that the FRA sets the price too low and thereby discourages small scale farmers from going into maize farming. To make it worse, according to Mr Phiri, the FRA is inefficient in paying the farmers. He has a point. The FRA was set up by the Food Reserve Act primarily to help prevent large flactuations in farm revenues and also to ensure that in time of need food was always available to the nation. In reality of course, the FRA really is just a price regulator. It sets low prices to farmers through its marketing board, and the surplus is simply transferred to other groups. The FRA can do this because most of our farmers are small and disorganised. Larger farms of course don't face these difficulties. Most of them have international connections, that allow them to sell the more "interesting" commodities to European markets. It does beg the question whether the existance of the FRA and its ability to buy at lower prices is consistent with our aims to develop agriculture, and specifically use small scale farming to tackle poverty. Useful slides of the Zambia Investment Forum 2007 held in London last week. Got some very useful stuff on there including Magande's presentation on Strenghthening the Investment Climate in Zambia and Fundanga's presentation on Zambia's Macroeconomic and Investment Climate. My thanks to Daniel at UK Zambians for alerting me about the forum and associated information. "The challenge of unemployment is further compounded by the presence of foreign expertise in jobs that can easily and competently be executed by locally trained graduates. Though, I appreciate the various merits that come with foreign investment such as advanced skills and technology, the fact that most foreign firms come with their own professionals renders our highly trained graduates disused ". The urgent question therefore is whether Herman is correct in his observations, and if so what measures should Government can take to correct the situation, if at all any corrections are needed. For some commentators on the blog have cautioned that even if the situation is as bad as stated, we must exercise caution in heavily legislating against foreign firms and putting unnecessary burdens. As one anonymous commentator points out "hiring a local workforce is cheaper on average and I would hope that market forces could take care of it". If there’s indeed a problem of equal access to new employment emanating from foreign investment can the market resolve this problem (as the anonymous commentator implicitly asserts) or should the Government do more (as Herman would like)? 1). Is Herman right that Zambian graduates are really not getting the jobs that they are equally competent to do, and may even be able to do at lower wages? 2). If the answer to question 1 is yes, is this a failure of the market and why is that so? Or is this effectively a failure generated outside the market system? 3). What is the appropriate way of addressing these failures be they market generated or otherwise, if they indeed do exist? Question 1 is essentially an empirical one, of which I am not sure any Zambian economists, have ever addressed. Simply put, there’s no immediately available evidence to check whether Herman is right or wrong about Zambian graduates versus foreign expertise. However, Herman is not alone in believing that graduates are not getting their fair share of jobs generated by foreign investment, that they are qualified for (both in terms of academic qualification and experience) and that these jobs are being given to foreign expertise. So it is safe to assume, in the absence of rigorous evidence, that on the balance of probabilities, it is likely that the answer to Question 1 is "yes". If indeed a problem is as real as Herman observes, then Question 2 does indeed become relevant. Is the lack of equal access to jobs between Zambian graduates and foreign experts a failure of the market or something else? I think most people would agree that if two people are equally qualified, they should have equal access to jobs. So either they are not equally qualified (essentially a "no" under Question 1) or they are, and therefore something must be preventing the market from working effectively. This "something" could be a failure within the market system or some outside influence (e.g. Government legislation). Whilst we cannot rule out any external influence with absolute certainty, we can positively asserts that the market does offer some potential explanations of why Zambian graduates, although equally qualified as their foreign experts, do not appear to have equal access to jobs generated by foreign investment. There are three potential market-related explanations. First, the market may place a premium on being foreign compared to being local. Secondly, the foreign employers could simply be practicing discrimination against Zambian graduates, either due to stereotyping or other things. Thirdly, the foreign investors’ preference for foreign expertise may simply reflect the incompleteness of information in the Zambian labour market, as it relates to how much foreign employers know about Zambian graduates relative to foreign expertise. The first two explanations based on premium and discrimination, we can rule them out easily. There are legislation laws to handle discrimination - and therefore it is essentially a legal rather than an economic issue. The other issue of there being a premium for being a foreigner, although interesting in itself does not essentially correspond to a failure of the market. If being non-Zambian means more exposure to other working practices relevant to the job at hand, it would simply imply that foreigners are more qualified and more competent than Zambians. This just leaves us with the possible explanation based on “incomplete information”. Essentially, the argument would be that foreign firms do not have all the information on Zambian graduates compared to foreign experts and therefore feel more uncertain about hiring Zambian graduates compared to foreign experts. Rather than going out and hiring a Zambian graduate with equal skills and is possibly much cheaper, employers probably feel more certain and more assured of the person from a similar background or nationality. Being a foreigner almost represents the non-identified positive characteristics that the foreign investor can't see in the average employee. To some this explanation is the same as discrimination, but in the context of the market and the way markets operate it’s simply a feature of incomplete information between the employer and the prospective employee. Instead what we essentially end up with is an inefficient scenario where a cheap Zambian graduate who the foreign investor does not know much about is rejected on that basis in preference to a more expensive foreign expert who the foreign investor feels more assured and certain about (due to common nationality and background). Information is therefore what is missing and what essentially needs to be rectified! So what does this all mean for Government policy? This is a tough question, but it is clear that central any solution is the need for Government to ensure that information between foreign investors and Zambian graduates significantly improves. This could be through specific programmes addressing the issues raised in this blog, but also through incentivising foreign employers to work harder at getting to know and understand Zambian graduates. Searchers are Zambians who are making a difference on the ground, and are not waiting for the Government to act. We need to celebrate these individuals. Our latest Zambian searcher is new Goldman Environmental Prize winner Hammerskjoeld Simwinga. Hammer is utilizing innovative sustainable community development strategies to restore wildlife and transform the area of North Luangwa valley. You can read about his work here. [Picture shows Hammer with his family - more photos here] . Hammer was last week awarded one of the six annual Goldman Environmental Prizes for grassroots environmental action, each worth $125,000. Previous winners of the Goldman awards which have been handed out each year since 1990 include Kenyan Nobel Peace Prize winner Wangari Maathai and executed Nigerian environmental activist Ken Saro-Wiwa. Benny Tetamashimba (MMD spokeman) believes that individuals' actions within organisations are divorced from the nature of the organisations they belong to. Hence, the organisation as a whole carries no responsibility for their actions. To quote his latest statement : "it was not right to say that the MMD should pay Katumbi because it were individuals that benefited from him and not the party". I am not sure I agree with this latest version of tetanism which appears to reject that corruption is also institutional (i.e. encouraged by organisational structure) and seem to put all the burden on individuals. It fails to see that a "culture of corruption" can emerge in an organisation, due to weak structures within it that does not provide sufficient incentives for employees or its members not to practice corruption. However, his statement is useful in highlighting the serious gap in our fight against corruption. To fight corruption effectively, we need a new anti-corruption law that emphasises "corporate or organisational responsibility" in areas of corruption. Any corporation or organisation which encourages corrupt activities should be subject to a new law relating to corporate or organisational culpability. We must target not just individuals in organisations but systems or structures that support those activities. Just two month's after the Budget, BOZ Governor Fundanga is now unsure on whether Zambia will meet its 5% inflation target for 2007. Partly attributed to the external forces of "heavy rains" and "high fuel prices". World-over, its acknowledged that the University is a premier center of excellence for research and training aimed at offering practical and workable answers to the challenges mankind faces. Therefore, the university occupies a critical position in any nation. This view was recently echoed by the Gabonese President Omar Bongo at the 2006 Association for the Development of Education in Africa conference held in Gabon, of which Zambia was part. He stated that effective learning institutions are powerful ‘weapons’ against most of the continents’ challenges these include poverty, ignorance, diseases and illiteracy. However, the strategic role and glorified position of Zambian Universities is being undermined by the many old challenges they face. Prominent among these are poor and inadequate infrastructure, persistent closures and students’ demonstrations, which are all highly attributed to poor funding and untimely disbursement of funds to the institution. Therefore, addressing these genuine concerns is critical to finding an enduring solution to the Universities' hurdles and improve their image. Last year the country witnessed a number of demonstrations not only from university students but also from their college counterparts. The issues raised need systematic attention from all stakeholders, which are the government, private sector and ex-students. It must however be pointed that the spirit and approach under which these genuine concerns are pursued should be revisited by Student Unions and peaceful and positive strategies adopted. The frequent disturbances at the highest institutions of learning may sadly represent the single most important factor that shapes ordinary Zambians’ perceptions and understanding of Universities. This is because the opinions of people about the Universities are anchored in these experiences. This has began to regrettably erode the citizens’ sympathy on the genuine plight of our Universities and further deny students and graduates an opportunity to foster the necessary positive image as the intellectual group of the nation. Our society faces so many challenges. Our nation is beset by high unemployment (estimated at over 70%), poverty (over 70%), corruption, illiteracy and general underdevelopment. To overcome these challenges Zambia requires dedicated and committed trained graduates to inspire and advance the cause of the people. Our future hope lies in graduates who are able to transform the dreams and visions of our people into realities. The late Zambian Professor Lameck Goma, once said “its not enough for our Universities to produce just graduates, it is important that they produce men and women of broad vision and wide culture, men and women with sympathy for their fellow humans, men and women with integrity, men and women who are dedicated to the serious purposes of life, men and women of hard objective thinking and courageous enough to engage in it”. However, in order for new University graduates to assume and perform this responsibility, major hindrances needs to be addressed. Workers’ rights are central to human dignity and therefore they must be protected and promoted at all costs. Its gratifying to note that the Mugomba Draft Constitution contains important sections relating to employment. In the Bill of Rights (Part 6), economic, social and cultural rights are included. Among these are workers’ rights to fair wage, equal work equal pay and to work under acceptable, safe and healthy conditions. Further, old labour laws should be revised, stiffened and enforced to curb graduate casualisation. Secondly, graduate unemployment. According to the Living Conditions and monitoring Survey of 2002 to 2003, only 15% of the productive Zambians are in formal employment. This value is not so different, as a snap survey indicates that 2 out of 10 graduates are in formal gainful employment. The high unemployment levels have compelled graduates to seek greener pastures in other countries. This sadly, has resulted in our country witnessing one of the most disastrous brain drains in her history. Further, Its lamentable that more than five years after the Millennium Declarations adopted by the General assembly of Heads of State of which Zambia is part, not much has been done to resolve this. The heads of State made a commitment to resolve youth unemployment by developing and implementing strategies that give young people every where a real opportunity to find decent and productive work. The challenge of unemployment is further compounded by the presence of foreign expertise in jobs that can easily and competently be executed by locally trained graduates. Though, I appreciate the various merits that come with foreign investment such as advanced skills and technology, the fact that most foreign firms come with their own professionals renders our highly trained graduates disused. Zambia is not short of brilliant brains or intellectual capital to fill up these positions. I therefore urge the authorities to protect, preserve and promote its own trained graduates, as it is the case in other countries. Further, in order to encourage and tap rare business skills from graduates to implore government to create a graduates’ fund from youth fund budget. As observed by His Excellency the President of Zambia, Mr Levy Patrick Mwanawasa SC at the official opening of the National Assembly on 15th January 2006, that government-private partnership is vital to resource mobilization for the Universities. As adequate finance is crucial to finding an enduring solution to university troubles. Whilst, we appreciate the private sector’s current contributions to Zambian Universities, there is need for more private investment in fixed assets such as construction of hostels and recreation facilities. These are viable business ventures for the corporate organizations! Further, graduates should be made to be more accounted to Universities. Graduates need to have a bigger and greater responsibility to give back to the University. In the absence of well meaning commitment, University troubles will persist and the country will also continue to lose its graduates to other countries that offer better and attractive conditions of services. Therefore, in order for the graduates to translate knowledge into realism and national ills, we require genuine leadership in opinion, thought, character, words and deeds at all levels in the nation. So with adequate support, University graduates can provide intellectual balance and realism on issues affecting the Zambian people. With commitment, university graduates can provide socio-economic and environmental turning points for the Zambian people. With political will and zeal, they can adequately face the historical challenge of contributing knowledge for sustainable development, transformation, empowerment, future survival and competition. Finally, with foresight, University graduates can be able to crystallize the aspirations and desires of the Zambian people. President Mwanawasa writes in this Month's edition of Africa Report Journal on Infrastructure Development . Unfortunately, this is another missed opportunity for the President to speak about a broader approach to investment that leverages private sector investment to achive social goals as I have previously argued. Instead the President focuses on making old passionate defence of Chinese investment in Africa. Its now common that whenever the Church airs her views on matters of national importance such as the constitution its labeled as partisan. I have read in the papers on various occasions, some politicians attacking the Church whenever it speaks up and stands for what is right and just for the common good of society. I strongly doubt if the roles of the Church in national issues is understood and appreciated by some individuals. In my view the Church’s roles are basically threefold: firstly, it has an obligation to provide tangible relief to the needy in society, the relief is both spiritually and materially. A vibrant Church is supposed to act as a ‘hospital’ were the sick (needy persons) can get treated both spiritually and materially. It’s the church’s responsibility to provide relief to the widows, orphans, street kids, aged, patients, disabled and other needy persons. Secondly, a vibrant, morally upright and informed Church in any given society provides moral direction on various societal issues. It has the right to raise its voice in dialogue and/or even peaceful protest against social, political and economic ills. Talking a leaf from the apartheid or racial discrimination that occurred in South Africa. The local church viewed this as a sin against God, because God’s creatures made in his image and redeemed at great cost were ill treated (Bishop Nutall, Anglican Church). Therefore, the church in South Africa led by Bishop Tutu vehemently opposed this through dialogue and peaceful protests. Normally, in such situations of socio-economic and political injustices the church in making her response will confine herself to issues of moral principles. The Church will give a theological reason for judging a policy or system to be morally wrong as shown above. Thirdly, the church has a duty to discern and declare the truth about national issues, as it perceives it: to name the causes and to make this known without fear or favour. Therefore, when the local church stands up and gives its moral position on the national issues it should not be labeled as partisan. Its merely performing its moral duties. As Father Chishimba rightly put it "the church should not be labeled as partisan whenever it acts as the consensus for the consensusless society and as a voice for the voiceless poor" (The Post, 17/04/06). Zambia Institute of Public Policy Analysis continues to carry the torch for independent thinking, with its latest issue on Unemployment. [save the file before opening it]. ZIPPA continues to put out challenging and exciting material for readers. Well worth a read! In a labour surplus economy such as that of Zambia, arguments for high wages and guaranteed benefits and social security for all employees, goes against sound market principles. We need to avoid confusion and misrepresenting the employment problem. Pay and conditions are not the issue. People need employment and a regular income to meet their needs. Working conditions and job security depend on the overall performance of the economy and the ability of the firms to pay. When considering demands to prohibit casualisation in Zambia we should not ignore the need for labour market flexibility and employment creation. I have to admit that I have not been completely persuaded by Neo's arguments. Yes, casualisation certainly has some advantages in terms of reducing employers labour costs, and I would go on to add a further point not mentioned, causalisation is useful in reducing the "search costs" of employees themselves as they change between permanent jobs. But none of that warrants the immediate conclusion that "pay and conditions are not the issue" and that these issues should be left to the market. It seems to me that the analysis in Neo's article could benefit from clear separation or identification of two key questions. First, whether there's an economic rationale for Government to intervene in the "casualisation" market? Secondly, if the answer to the first question is yes, how does Government intervene to ensure there's limited distortion? On the first question, the real issue is whether the casualisation market does suffer from market failures, that justify Government intervention or indeed whether Government intervention can lead to more superior solutions than we see at present. This requires careful analysis, but it is certainly not the case as the article implicitly asserts that the push for minimum wages for example necessarily leads to less employment. Infact the opposite is true under certain conditions. We know from simple wage rate theory that where there's a dominant employer (monopsony) in the market, we are likely to observe wages below the equilibrium wage rate (the monopsony essentially equates the marginal revenue product of an additional worker to the marginal cost of hiring that additional worker, and then choses the appropriate wage). Under these conditions a minimum wage above the wage rate set by the dominant employer but below or equal to the equilibrium wage rate can indeed increase both the wages and level of employment. Economic theory suggests that under these circumstances Government intervention in the casualisation market can indeed lead to superior solutions . This of course assumes that the casualisation market was operating under imperfect labour markets, but Neo does not present empirical evidence to conclude that the Zambian casualisation labour market operates under perfect or near perfect competition. This is an empirical question, but given that locational factors are of significance importance in labour market of developing countries like Zambia, it is fair to assume that the market is extremely imperfect, atleast at the broader level. So on the balance of probabilities, it is very possible that minimum wages in this sector could lead to increase in employment. This leads us to the second issue of how Government could intervene in casualisation markets to ensure that it does not distort the market. Neo is right to caution against measures that reduce labour market flexibility and may in the end be counter productive. Not all potential solutions will lead to employment creation no matter how well intentioned. However, these dangers do not in themselves mean that Government has no role to play. On the contrary, we have seen that measures like minimum wage, could work well to improve job creation and possibly expand the level labour market leading to more economic growth. It is incumbent upon economists and others to think of creative of ways in which Government intervention can create a win-win solution. And crucially in that pursuit we must keep our eyes not just on economic efficiency, but also on equity as well. Magande gave a press briefing on April 14th as part of the IMF Press Briefing of African Miniters. The video and transcript of the brief can be found here. It makes for interesting reading & viewing! MrK when commenting on land reform proposes that “80% of Zambia's agricultural land is not under cultivation. We should strive for a position where every present day subsistance farmer has access to 100 hectares, instead of the present 2-3 hectares." In my previous responses to those comments I had noted that empirical research had always shown that access to credit was one of the main constraint (education and good agricultural extension services being the other) that has contributed to the inability of Zambian farmers to increase their productivity. In that sense it was important to focus on that in the short run. What of course was missed in that exchange is the potential link between access to credit and land distribution, and the land reform implications that may flow from that. Theory has previously suggested that credit markets in agricultural areas are poor because lenders do not have the full knowledge of farmers who look for finance, and hence require substantial "security" in order to lend them money. The absence of such "security" is a great impediment to making credit available to farmers. However, research as shown that land can potentially act as collateral - if so, then land re-distribution can help improve access to credit, and indeed by redistributing land, you are effectively redistributing credit in the economy, and allowing for a wider impact beyond agricultural related activities. Any new land owner should be able to use that as collateral for any economic activity. If this is true, then indeed land redistribution has benefits not just in terms of equity or direct economic benefits to farmers, but also in terms of eliminating the “market failures” that prevents individuals from investing in agriculture and non-agricultural activities (e.g. tuntembas, small retail shops). The IMF Working Paper on Land Distribution and Financial System Development published this month, provides some empirical evidence on this issue. Using evidence from a broad set of countries, Vollrath and Erickson show that unequal distribution of land generally has a significant and negative impact on financial development. In other words, land inequality leads to greater inefficiency in the financial market and is in line with previous research by Chakrabort and Ray (2006) which shows that "highly skewed distribution of land will lead to less overall credit, as large landowners are able to self finance their investments and landless workers are unable to provide he collaterall to borrow at all". Vollrath and Erickson's does not fully address all the questions on how land equality actual transmits to financial development (aside from the impact on banking efficiency), but their evidence on the strength and direction of the relationship between the two is important because it provides further evidence of the additional benefits of land redistribution. In terms of policy direction, it shows clearly land redistribution has a signficant role to play in our quest to improve credit access to farmers. And more importantly, the economic benefits of redistributing land is likely to go beyond the agricultural sector since it helps to develop the financial sector in general. too late. He should not choose to cross the river when it is flooded because he will be swept away by the strong currents. He has to move and decisively act now before these corrupt elements consolidate themselves against him, using plundered resources...". First, introduce stiffer penalties for corruption. Firing people is not enough to dissuade them from corruption because at their level, these people are fairly mobile and would find another job. Stiffer penalties in form of longer sentencing periods are needed. Secondly, Improve monitoring regimes, so that the probability of being caught is sufficiently high. Finally, encourage a higher pool of civil servants into the posts of permant secretary through open competition. The President should not appoint permanent secretaries. He should simply rub stamp the competitive process. The independence of the Civil Service is crucial in shielding them from politically induced corruption. A more focused and structured debate is needed on how to tackle Civil Service corruption instead of constant lamentation and name calling exhibited by the Post. ABC news report on a simple and inexpensive idea in Chikankata that is saving the lives of Zambian women during child birth. Chief Puta had previously argued that Government needs to do more to utilise traditional structures. Now Chief Bright Nalubamba's letter to the Post Newspaper Editor echoes those sentiments. Letter duplicated below. I have visited many Royal Chiefdoms throughout the country in my capacity as Chairman of the Royal Foundation of Zambia. The impression I have about their efforts and initiatives in the governance and development process completely differs from yours. I do not know when you last visited your village to share development and governance ideas with your chief. There are quite a number of chiefdom structures I visited throughout the country that are doing a commendable job in governance and development process. If they have not done as much as you expect, it’s not totally their fault. It is lack of government appreciation and support to these noble efforts. The government needs to take radical steps, through workshops and seminars designed to sharpen chiefdom structures as instruments for good governance and development in rural societies. Unfortunately, the government has left these structures below the district level to fend for themselves. This explains a dire need for an effective decentralised system that will provide needed ability and positive attitude to these chiefdom structures in order for these structures to perform well and deliver. Have you in the last 20 years heard of any workshops on leadership, project cycle or strategic planning for traditional leaders? Don’t we deserve these and many other knowledge and information workshops to prepare us for good performance and delivery? I am convinced that given proper direction and support, our chiefdom structures you so much doubt and condemn can do a lot to bring about change because that is where you find the most important development resource – the people. Are you sure editor, you have not seen traditional leaders in this age and time who have spent 80 per cent of their time living and sleeping with their subjects in villages with no thought of personal comfort just to share governance and development ideas? Then your knowledge of rural areas is not thorough. For all these efforts, traditional leaders (save the MPs) do not deserve consideration for duty-free vehicles to facilitate their regular visits to the villagers. They should be condemned to walking through the villages; and be condemned to dilapidated so-called palaces. What a negative way to look at the plight of traditional leaders. You do not call this an insult to the traditional leaders. I refuse to share that view with you. the efforts of traditional leaders. I invite you to NAMUCHI – July Congress to be held in Mbeza-Namwala for you to criticise or commend us better. Traditional leaders are trying but they lack support from the government. The Economist Magazine on the poor state of Zimbabwe's economy. A new World Economic Forum (WEF) report will be of little to comfort to those worried about the ICT situation in Zambia. This especially coming after murmurings that the recently launched national ICT policy is inadequate. The WEF's annual "networked readiness index" has for the first time included Zambia into the strong 122 monitored countries. Unfortunately, such exposure has highlighted that Zambia is near the bottom at 114th, performing much worse than the likes of Kenya and Mali. The index ranks countries according to their potential to use internet-based technologies to boost economic growth. It comprises 67 variables, including data on the broad regulatory environment and measure of technology infrastructure and usage. 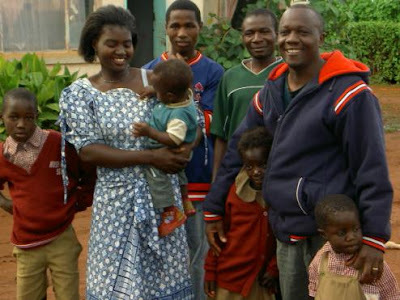 The idea of reducing poverty through smallholder agriculture in Zambia is not new. But using using mushrooms to revive Zambia's rural economy is a new and creative one! It is decision time for Zambia on which of these two bodies we should belong to. Both bodies have impending plans to become customs unions, and WTO rules forbid dual membership. I trust this decision will not be made in the dark, but must be underpinned at the very least by a Green Paper, that will allow the common Zambian to debate the economic and political benefits of the two options. At the moment, SADC looks the more attractive option given the geographical position. The key issue of course is that like any alliance, we need both a membership that we can exploit by offering it something different, but also one where we have a common understanding and shared cultural values. The former guarantees economic supremacy, the latter ensures smoother social and economic convergence. In my view South Africa, Angola and Botswana would make better trade and development partners, than our COMESA friends like Sudan and Libya. But whichever route we take, we must make sure that we also press for reforms within that union. The current SADC framework is based on historical links and geography than serious economic and democratic principles. The likes of Zimbabwe and DRC will never be fit for 2018 economic and monetary union, as currently envisaged. A possible route would be a staged approach as adopted by the EU where countries are admitted when they demonstrate to have fulfilled certain criteria. "An IMF mission visited Zambia during March 14-28, 2007 for discussions on the fifth and sixth reviews of Zambia's three year economic program supported by the IMF's Poverty Reduction and Growth Facility (PRGF). The mission reviewed economic and financial developments and held productive discussions with the Zambian authorities on economic performance in 2006 and on policies and prospects for 2007. The mission also met with representatives of the private sector, civil society, and Zambia's cooperating partners. "The Zambian economy continues to perform well. Strengthened macroeconomic policies and a favorable external environment have been major factors behind the improved performance in recent years. Annual real GDP growth is estimated to have reached almost 6 percent in 2006, led by solid expansions in the mining and construction sectors and a strong recovery in agriculture. Inflation slowed to single digits for the first time in three decades, largely owing to stable food prices following a bumper maize harvest in early 2006. The renaissance of the copper sector and extensive debt relief have markedly strengthened the economy's prospects. "The stance of fiscal policy remained appropriately prudent in 2006, as indicated by the decline in the budget deficit excluding grants. However, government domestic borrowing substantially exceeded the planned amount because a sizeable portion of budgetary releases made in 2005 were not spent until 2006. Monetary expansion was significantly greater than targeted during the last few months of 2006, leading to a substantial buildup of liquidity, which the Bank of Zambia is now addressing. "Looking ahead, economic prospects are favorable. Bolstered by sizable investments, particularly in mining and manufacturing, and by construction, real GDP is projected to grow by about 6 percent a year over the medium term. Depending on the quality and extent of implementation of the Fifth National Development Plan growth could be higher still. Sustaining robust growth, however, hinges on maintaining macroeconomic stability, making more effective use of public resources, and undertaking the improvements in infrastructure and the financial and private sector reforms which are essential to enhance productivity and competitiveness. The government's revenue base needs to be boosted to provide scope for increased spending on infrastructure and social programs to meet the national development goals. "The 2007 budget appropriately targets a decline in net domestic financing. This is necessary to contain domestic debt and create scope for the expansion of credit to the private sector. Tax revenue is projected to increase by about 1 percentage point of GDP, mainly from the mining sector, where some companies have started to declare taxable profits, and VAT collections. The announced changes in the fiscal regime for the mining sector are welcome, as is the government's intention to remove fiscal terms from future development agreements. Zambia's tax system is very competitive in the region. While targeted tax incentives for investment can be appropriate under special circumstances, inefficient use of tax incentives, in particular tax holidays, entail significant costs. Therefore, great care needs to be taken to ensure that such incentives associated with multi-facility economic zones do not erode the tax base over time. In this respect, the monitoring and reporting of tax expenditure would be helpful." "It is essential to consolidate the gains that have been made on the inflation front in recent years. While fluctuations in the inflation rate are inevitable, not least because of the volatility of food prices which account for more than half of the consumer price index, Zambia should be able to sustain single digit inflation. This outcome depends, of course, on the pursuit and consistent implementation of an appropriate monetary policy. The Bank of Zambia's efforts in the first few months of 2007 to absorb excess liquidity are thus welcome." "The mission will continue its work in Washington D.C., in close consultation with the Zambian authorities, with a view to completing the fifth and sixth reviews under the PRGF arrangement in early June." Alastair Fraser and John Lungu have recently published an excellent report, For Whom the Windfalls? Winners and Losers in the Privatisation of Zambia's Copper Mines. The associated 'Mine Watch Zambia' website also comes with excellent copies of Development Agreements negotiated between the mining companies and the Zambian government, as well a blog on mining issues. A number of people have requested the link to the February 2007 Budget. Here is the link to the PDF version. Happy to e-mail people the word version if needed.